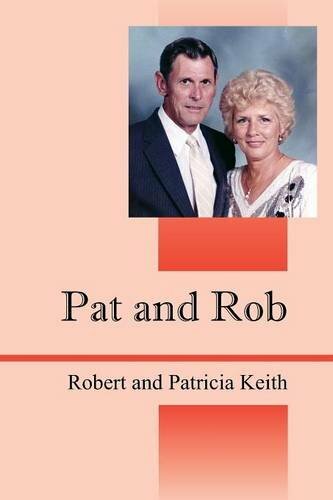 “Pat and Rob” by Robert and Patricia Keith came to fruition as the result of a talk at a senior resident complex in Jacksonville, Florida where the Keith’s were living. The talk was by Dr. Alan Bliss and discussed recording and conducting an oral history which highlights one's family, accomplishments, and anything you would like to pass down to your family and loved ones. The authors, in an attempt to provide a personal memoir for their children and grandchildren, cover both their early childhood years to their present day lives. In great detail they cover their early years, how they met, and Rob’s years of military service with Pat staying home to care for their five children, their final retirement, and Pat’s passing due to lung cancer. I was thumbing through a personal scrapbook. There were times however, the story made me realize that none of us would live forever, and the importance of providing information to our children and grandchildren about our history. While I do appreciate one’s service to our country and the sacrifices made by the soldier and the family left behind, the detail was overwhelming. The authors did provide pictures and military history which I am sure their family will appreciate. “Pat and Rob” by Robert and Patricia Keith is quite lengthy at 526 pages and while I appreciate the effort that went into the making of this book, I feel like it is best suited as an heirloom to pass down through the family.